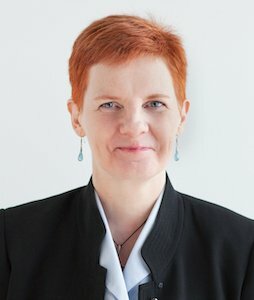 A few years ago, after 25 years of managing projects and programs, I was curious about whether I as a project manager was meeting stakeholder expectations. Beyond that, I wanted to know what project managers (PMs) expect their role to be, and what people who have project managers (NPMs) expect the role of a project manager to be. PMs and NPMs don’t see eye to eye on the role. PMs are too much in the weeds and have a tendency to micromanage. 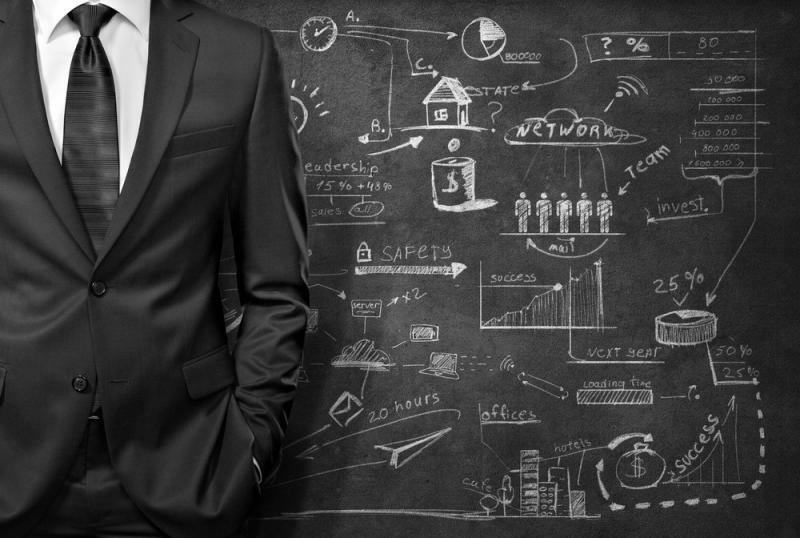 NPMs don’t necessarily value project managers. To find out whether my anecdotal evidence was true, I set up a survey. With 18 questions on the role of a project manager, more than 250 people responded – half project managers and half non-project managers. They represented 40 countries and 12 industries. The full results of the survey will be available in a few weeks, but here are some thought-provoking initial findings. Happily, both groups agreed that the role of a project manager is essential to the success of a project. 86% of NPMs agreed with this statement as do 90% of PMs. Both groups agreed that project managers provide context and purpose. The gap here is wider, with 71% of NPMs and 88% of PMs agreeing with this statement. To a similar extent, we agree that project managers make things happen with 74% of NPMs and 90% of PMs agreeing with that statement. The effectiveness devil is in the project manager details! Something to note is the degree to which the two groups agreed – although their answers were generally aligned, they did not always answer with the same intensity! For example, we agree that PMs are essential, but only 50% of NPMs strongly agree while 74% of PMs do! 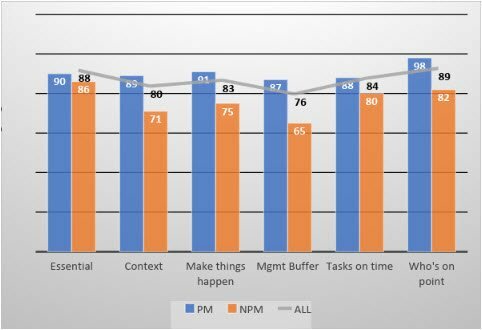 30% of NPMs felt strongly that project managers make things happen, but double that number of PMs felt strongly that making things happen is part of their impact (59.8% of PMs). We have all heard project managers referred to as micromanagers or characterized as people with clipboards. Two statements were considered – Project managers slow down development and delivery by having too many meetings and project managers are too task-oriented to be helpful. The good news is that around 60% of people in each group disagree with these statements. What is concerning though is that 30% of NPMs and a surprising 21% (1 in 5) of PMs(!) believe that we are too task-oriented to be helpful. Also, 29% of NPMs and more than 26% of PMs agree that project managers slow down the development and delivery by having too many meetings. What does all this tell us? Let’s start by reviewing the results against my theories. Theory 1 survey result: Good, bad or indifferent, the perspectives of each group on the role of the project manager are remarkably aligned. Theory 2 survey result: While the micromanager point of view is not as pervasive as I expected, and, over 1 in 5 project managers believe this themselves! Theory 3: survey result: Happily, it seems that NPMs do value PMs! Of course, we cannot rule those that don’t believe in the role may not be motivated to answer a survey! However, that caveat aside, things are encouraging. Focus 1: The gap between the strength of our perception and the perception of our non-project manager colleagues on our role. Even where we agree in general, there are big gaps in perception – the degree to which the two groups believe a statement – when we dig deeper. Focus 2: Lifting ourselves out of the details and keeping our eye on the big picture. We even perceive ourselves as micromanagers. I believe that a lot of this relies on us changing our focus from process to people. It is often said that human factors account for 70% of project performance. Indeed, some studies have shown that measure to be as high as 81% (Gertman et al., 2001). It behooves project managers to develop new strategies, to become students of human behavior and weave behavioral theories into every process in project management.